InfraWorks® software supports BIM processes, enabling AEC professionals to contextualize, conceptualize, optimize, and visualize projects in the context of the built and natural environment. 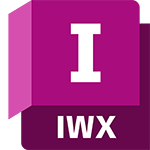 Please note that each user will be required to sign in using their own Autodesk ID in order to access InfraWorks. If you need to deploy InfraWorks to a lab or to multiple computers, please sign in to the Autodesk Education Community with an individual (student or educator) account in order to access and download the software. Then, choose the 'Create Deployment' option shown during the installation process. Further information on lab installations for InfraWorks can be found here.